Photographer to the stars Matt Hoyle, wearing his Airframes with Mr Jack Black! Here is a great example of a BEFORE and AFTER. Rosco was asked if he could create a pair of sunglasses like the hand-drawn picture that was scribbled onto paper in the middle of the night. Rosco always being up for a challenge, got a bunch of measurments and selfies to use to modify his Box Kite design. Red anodised carbon fibre make these bling with the mirror polarised lenses. I am incredibly honored to blog that a pair of Airframes has 'made it'. Have a sqiz at the picture below and you will see Brian Ritchie of the Violent Femmes wearing his fully customized, one of a kind specs on the back cover of their newest album titles "Happy New Year"! Check the album. its awesome! "Inspired" Is the 1 word which Matt Hoyle emailed back to me when I mentioned to him an idea I had for his custom made pair of Airframes. Instead of just engraving the arms with a camera silhouette, I came up with the idea of making the end of the arms little camera's instead! Airframes - Each Pair Unique. Tigermoth Mk1 in 24ct Gold! Now they have been stripped of their original lacquer coating, and veneered with 24ct gold! Last entry was the 1st pair, here is the 50th! An incredable amount of work has gone into getting to this point. Thankyou to my wife for her support, help and understanding. Wooooooo! These are Aviator Mk1's laminated in a carbon fiber composite reinforcement with Iridium lenses. Aviator Mk1 with black and white carbon and Iridium lenses. Here is the first pair that I ever made. The lenses I pushed out of a cheap pair of sunnies, and designed the glasses to fit the lenses! Tricky. The gracious boys from Holloway gave me some hinges to try and there you go! Birthday present for Mrs Batten! Click to see the different pics. 'Billet-Cut' look discovered with bionic man! This is when I discovered the Billet-Cut look that is unique to Airframes. I have a neighbor who is training for the Paralympics. 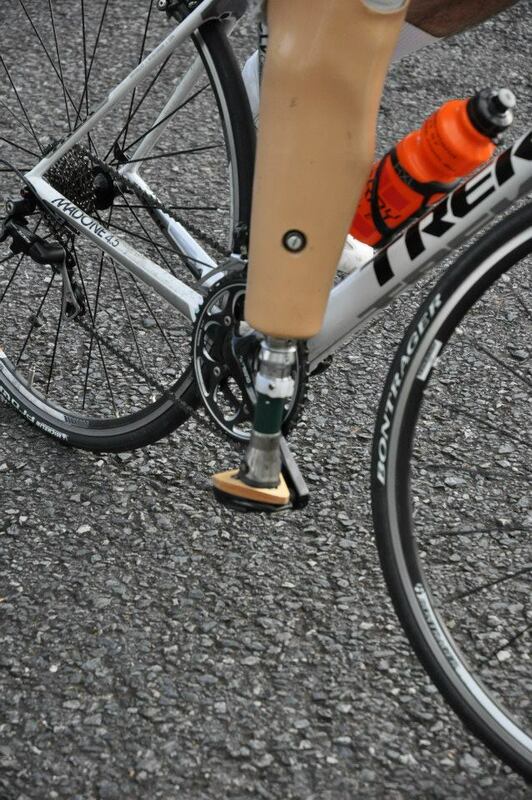 He asked me if I could design and make an adapter for his prosthetic leg, so he could join his leg directly to the pedal of his racing pushbike, instead of having to use a prosthetic foot and cycling shoe. Click to see the pics. After making the CNC machine, I got a bit sidetracked with making weight driven, pendulum regulated clocks. The first one that I made was for my baby boy's first birthday present. This is where I discovered aircraft grade ply which I use to make Airframes. The super thin timber layers running in opposing directions and the fine grain is needed for strength in the small teeth of the gears. The Aircraft grade ply used here is a 5mm 10 ply...in the 5mm there are 10 layers of wood and 9 layers of glue! Next thing I wanted to do, was design and build high speed aircraft for racing. This involved having to design and build my own 3 axis CNC machine! 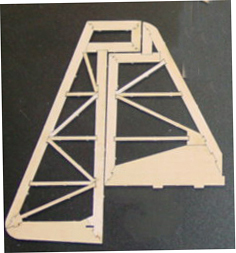 The machine was used to cut molds for carbon fiber aircraft wings and fuselages. I needed a lot of money to buy one of these machines, so as usual...Necessity is the mother of invention. The machine is still used to fashion the 'billet cut' look from a solid billet of laminated timber ply's. It is impossible to get the consistent banding look in the wood by shaping it by hand. Here is the Yak-54 almost fully constructed.